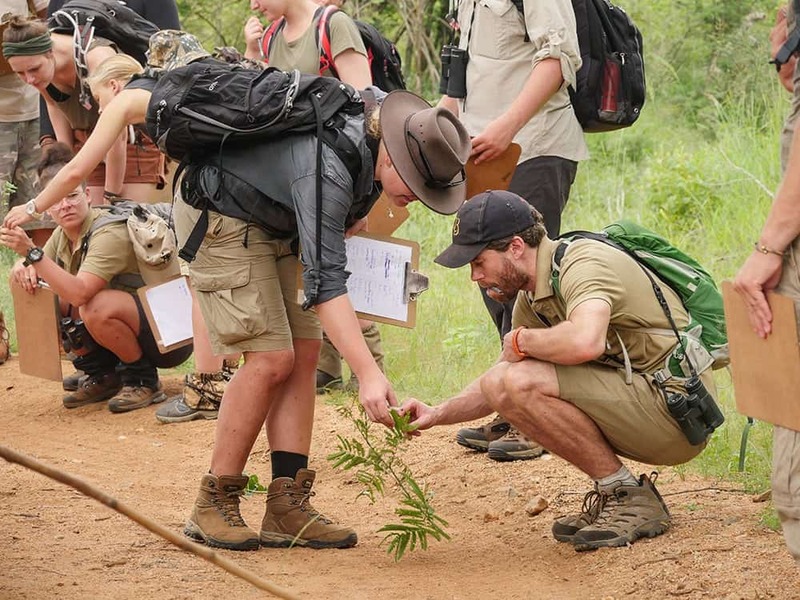 This FGASA (Field Guide Association of South Africa) accredited course – field Guide Level 1 (NQF2) – is for anyone intending on becoming a Field Guide or following a slightly different career within the South African wildlife industry. You will constantly be exposed to the African bush and be submerged into nature for every minutes of this 55 day programme. 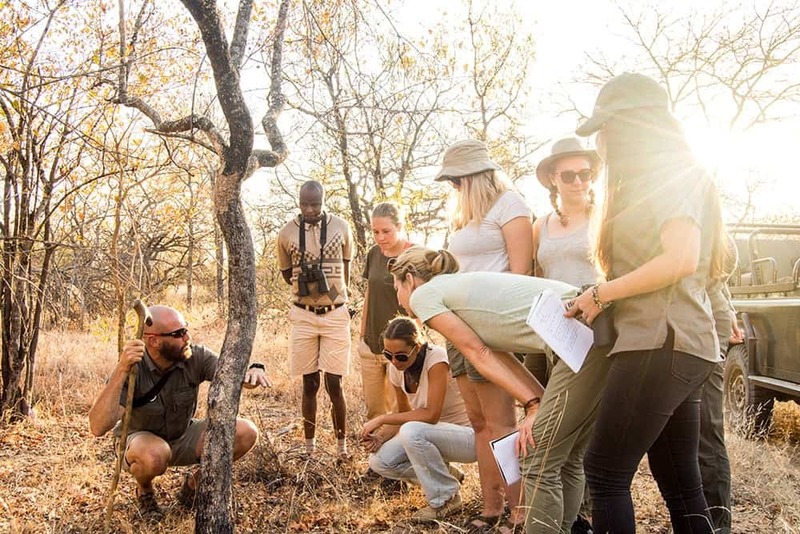 This 55-days FGASA (Field Guide Association of South Africa) accredited course – field Guide Level 1 (NQF2) – is for anyone intending on becoming a Field Guide or following a slightly different career within the South African wildlife industry – or anyone else with a strong interest in African wildlife. You will constantly be exposed to the African bush and be submerged into nature for every minute of this programme. 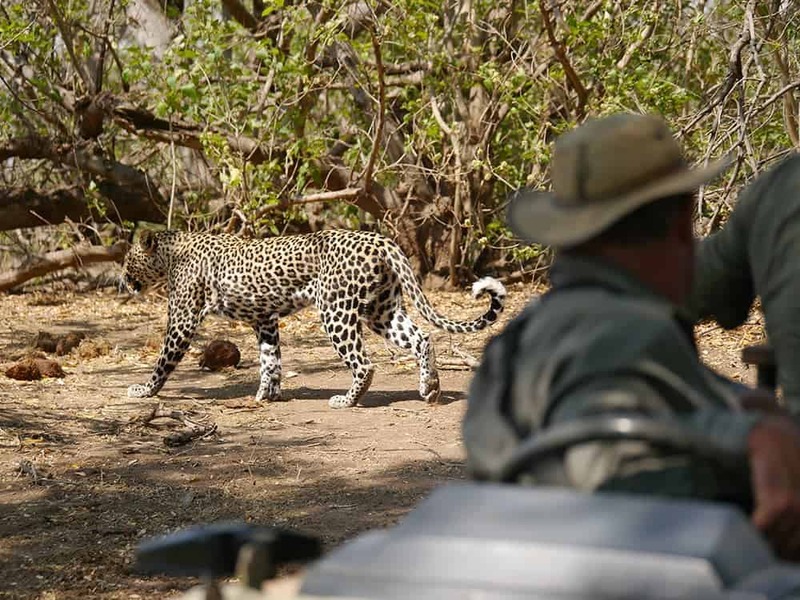 Training, to facilitate maximum exposure to different areas, wildlife, biodiversity and biomes will be split between two of our wilderness camps. Daily lectures and practical activities in the field will cover a broad spectrum of subjects and topics. Participants will have the opportunity to get their FGASA Field Guide Level 1 (NQF2) qualification, by successfully completing a theoretical and practical assessment. These assessments will be conducted by our instructors (who are accredited FGASA assessors) at our camps, during the course. This course is for school-leavers, career and gap year candidates, a sabbatical, extended educational vacation, interns, volunteers and researchers. 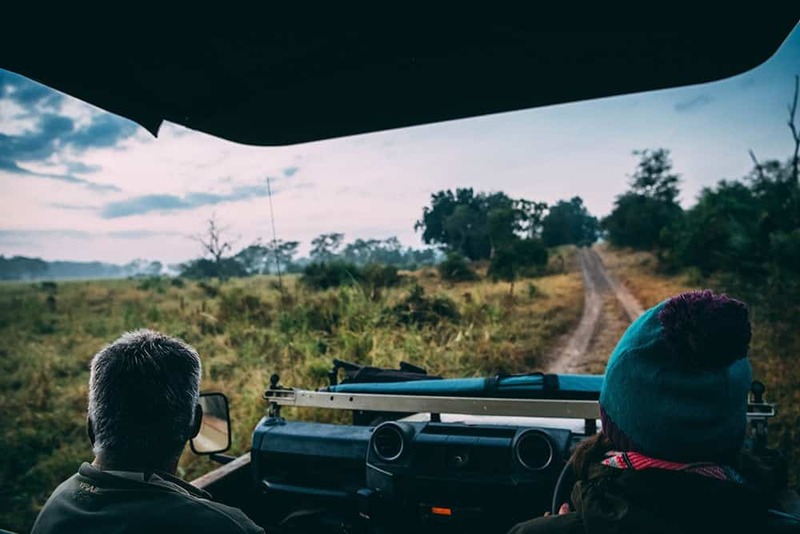 Every morning and afternoon will alternate between game walks and game drives whilst the lectures at mid-day will involve discussion and topical instruction on the game encounters of the day – or other subjects. Students will also be given their own personal study and relaxation time. The Makuleke Conservancy is a 24000 ha private concession in the north of the Kruger National Park. Located between the Limpopo River in the north and the Luvuvhu River in the south, it has large alluvial flood plains and central African vegetation, but also sandveld and a huge amount of plant and animal species. It is a gathering space for elephants from Mozambique and Zimbabwe as well as those that reside in Kruger. There are many hippos and crocs in the Luvuvhu and Limpopo rivers and as there is thick bush around, leopards happily hunt the nyala and impala near the rivers. Makuleke also hosts eland and grysbok whilst the birdlife is prolific. 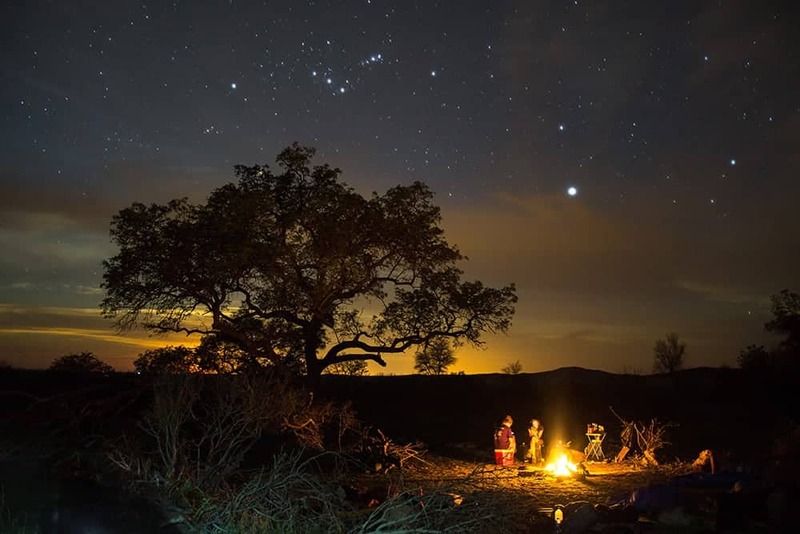 Karongwe Private Game Reserve lies east of the Drakensberg Mountains in the Province of Limpopo and is an 8 500 ha area of South African bushveld; an untamed garden of eden – pure wilderness. The ‘Big Five’ flourish here, but there are also many other species such as elephant, rhino, buffalo, wild dog, cheetah, two hyena species, giraffe, zebra, wildebeest, and many, many antelope along with monkeys and baboons. Birdlife is proficient and the waters contain otters along with the normal hippo and crocodile. 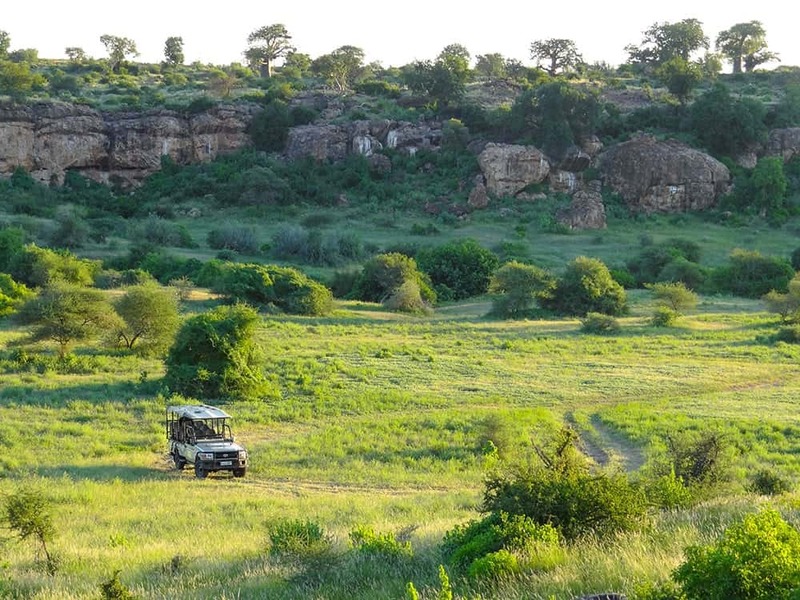 Rocky outcrops stand out within the reserve’s undulating terrain. The Selati Reserve hosts over 50 species of mammals and is known for it’s large numbers of sable antelope. Species biodiversity is enhanced by elephant, black rhino and lion but it also hosts leopard, cheetah and the odd wild dog, amongst many others. Selati has a vibrant bird population due to the varied habitat; there are mopane woodlands and rare cycads in this undulating area. As with most other reserves in the general area there are many species of reptiles from monitor lizards to crocodile and snakes. Our Vic Falls camp nestles along the Masuwe River a tributary of the great Zambezi River, in this 6000 acre conservancy, pristine wilderness. It is home to the Big 5 but also to the endangered Black Rhino. The savanna is full of wildlife and apart from the big 5 including giraffe, zebra and many of the antelope species, including Sable. There are both teak forests and savannah grasslands drawing hundreds of species of birds to it’s banks. Our camp near Hoedspruit in South Africa, means that the property falls within the Greater Kruger National Park (GKNP), in total an area of over 2,000,000 ha of wild reserve, unfenced and with free movement of wildlife. It is an ex buffalo hunting farm that was incorporated into GKNP some years back and allowed to rehabilitate. Wild species that were absent for some time have now returned due to the dropping of all game fences. 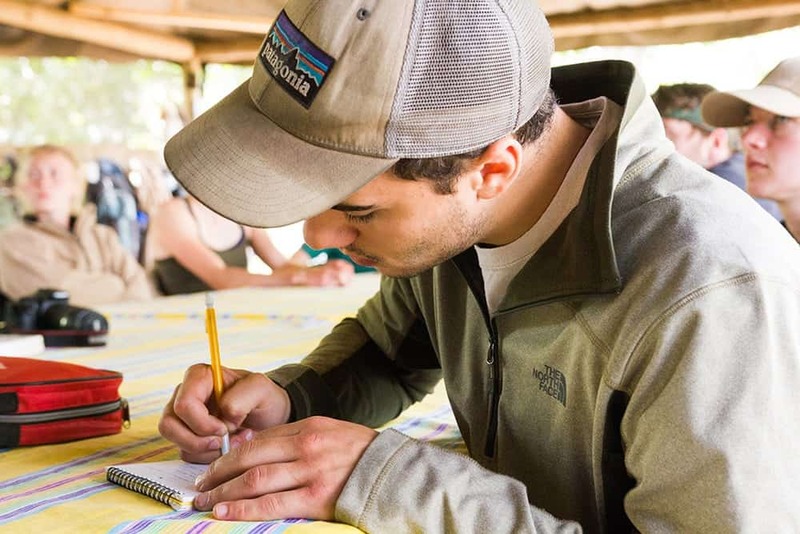 Although this course forms the foundation for a career in field guiding (and many other wildlife orientated careers), many participants enroll onto this course for a gap year experience or extended bush holiday. Participants older than 18 years, holding a valid driver’s license (manual gearbox experience is preferable) and from all walks of life are invited to attend.